Bubble letters are one of the most popular things around here all year round! 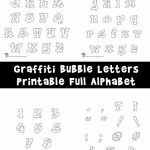 My kids love printable bubble letters. This set of flower bubble letters is my youngest daughter’s favorite of all. 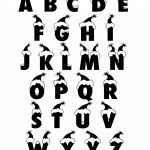 They are great to print and color, to make banners with, or to use as patterns for crafts. You should make some bubble numbers and put them on here to print off! this is soo helpful thank you!